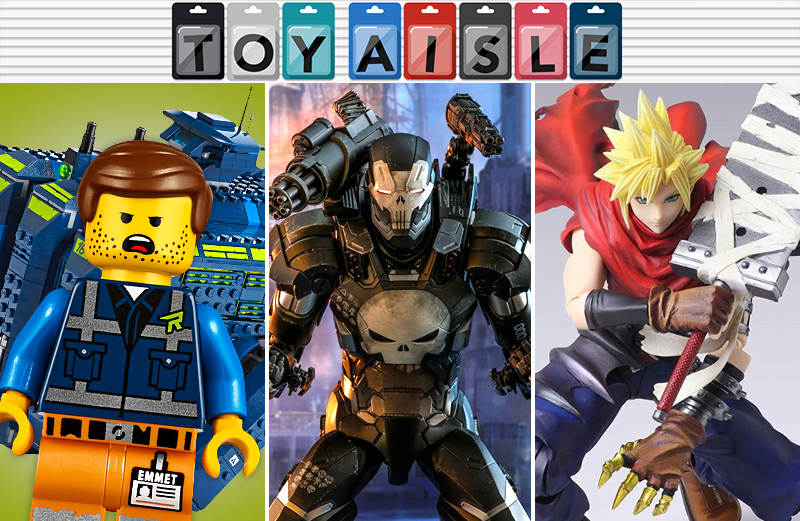 The sets released alongside the original Lego movie didn’t exactly wow us, which is odd given it was a movie entirely based on a toy line. For the sequel, Lego’s stepped it up with some truly excellent tie-in sets, including the gigantic 3,178-piece Welcome to Apocalypseburg! playset, and the recently revealed 1,826-piece The Rexcelsior spaceship. Shaped like a giant intergalactic fist and armed with six-spring-loaded toy missiles, the set also comes with two minifigures: Stubble Trouble Emmet and Rex Dangervest, as well as microfigure versions of each that are better scaled to the craft. It will be available come May 1 for $150, which is also odd given The Lego Movie 2 hits theaters on February 8. Toyzfrontline has shared some official pics of Medicom Toys’ upcoming MAFEX Wolverine Marvel Comics Version figure, and it genuinely looks like the collectible has been torn straight from the pages of a comic book. Available come November for around $72, the figure will include a pair of masked heads with different expressions, an alternate unmasked head, a whole mess of articulation points, and swappable hands with and without Wolvy’s claws extended. Snikt! The Punisher and Iron Man’s War Machine armor are a comic book match made in heaven. A suit of guns for a gun-loving anti-hero? There’s just too much synergy there for one human brain to comprehend, but at one-sixth-scale, it’s easy to see why Hot Toys new 13-inch The Punisher War Machine Armor figure is probably going to be quite popular. Based on the character’s appearance in the mobile Marvel Future Fight video game, the figure includes everything we’ve come to expect from Hot Toys’ elaborate treatments including 30+ points of articulation, LED-powered light-up accents, swappable hands, heads, and weaponry, and a price tag that will probably go well north of $300 when this eventually becomes available starting in early 2020. You won’t be quite toasty enough to wander around Hoth without a parka, but wearing this Chewbacca-themed fleece number, you will be cozy enough to binge on your favorite space opera, no matter what the temperatures are like outside. For $35 the adult onesie features a faux bandolier and a hood covered in thick fur that’s also hiding Chewie’s eyes, nose, and teeth. It’s functional cosplay that’s just missing a pair of Chewbacca slippers, so that you can go ahead and cross “Halloween costume” off your 2019 to-do list. Next Tuesday, a journey Kingdom Hearts fans have been on for 17 entire years comes to an end with the release of Kingdom Hearts III—but while this chapter of the Disney/Final Fantasy/Egregious Zippers mashup series is coming to an end, Square-Enix is hoping that it’s only the beginning of unleashing even more merchandise based on the games to tempt your wallet into darkness. Case in point: the latest announced addition into its 6-inch “Bring Arts” line, depicting Final Fantasy VII’s Cloud Strife...not as he appears in Final Fantasy VII, but in Kingdom Hearts, which means extra armor, a bandage around his comically-sized buster sword, more buckles than you shake your wider-than-your-own-torso sword at, a ragged cape... and one wing? Wasn’t that someone else’s schtick in FFVII? During a performance in Des Moines, Iowa, on January 20, 1982, Ozzy Osbourne famously bit the head off a (dead) bat in front of a crowd of roughly 5,000 fans. 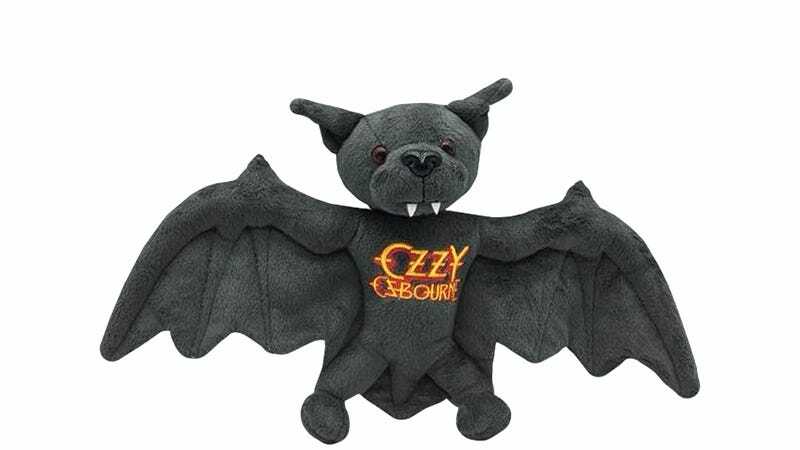 It has become one of the most infamous events in rock and roll history, but now that Osbourne has a family, and even grandkids, that poor bat has been immortalized as a plush kid-friendly collectible, although you might have a hard time explaining to a four-year-old why its head can pop on and off with velcro. Available from Ozzy’s official online store for $40.